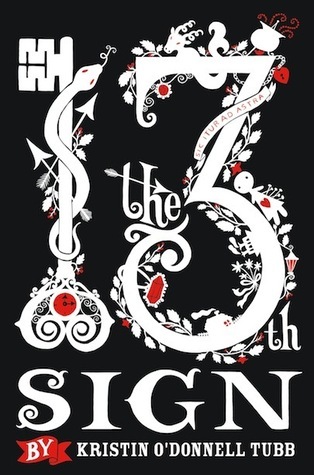 The 13th Sign is a story about Jalen, a girl who doesn’t believe in astrology, until one day when she makes a choice that changes the world around her. She discovers the 13th sign, altering the other twelve signs and the personalities that go with them. Soon she is in a race to save the world and stop the other twelve signs from taking over. With the help of some unlikely characters, Jalen set off on a journey like now other. There were two things that surprised me about this book. First of all, for some reason I did not know this was a middle grade story. For some reason, from all I heard, I thought it was a YA. Second of all, this book, being a middle grade magical adventure was way shorter than I anticipated. Everything I’ve seen about this book points to it being a stand alone and that’s why I thought I would be longer. These two things really affected the way I read the book. The characters were nice enough but I didn’t feel connected to any of them. I think part of this was the fact that the book was just one thing after the other, without much room for development. Seriously, the way Jalen and the gang were going it was hard to keep up. They were going battle to battle, leaving no room for a breather. I personally thing this book could’ve been better if maybe divided in two, or just a lot longer. I’m a big sucker for those character developments and when those are missing, the adventure part isn’t as fun. It was a super quick read for me, but I really liked the story in general. Jalen and the other characters were likable and the idea behind the 13th signs was very interesting. I liked the different aspects of the astrology that were brought in. The elements of the story fit well together. 13th Sign comes out January 8, 2013. Let me know what you think! ← EXTRA! EXTRA! READ ALL ABOUT IT! I HAVE SOME NEWS!!!!! That sounds like such a great concept! Wish it wasn't MG :/. You know I think I saw a documentary about the 13th sign. I think this was big last year too, like a lot of people were comparing their traits to it and stuff. Smart of the author to expound on that topic.